Back from the holidays for the New Year, one of the first thing I did was to check g+ and learn about what happened in my absence. 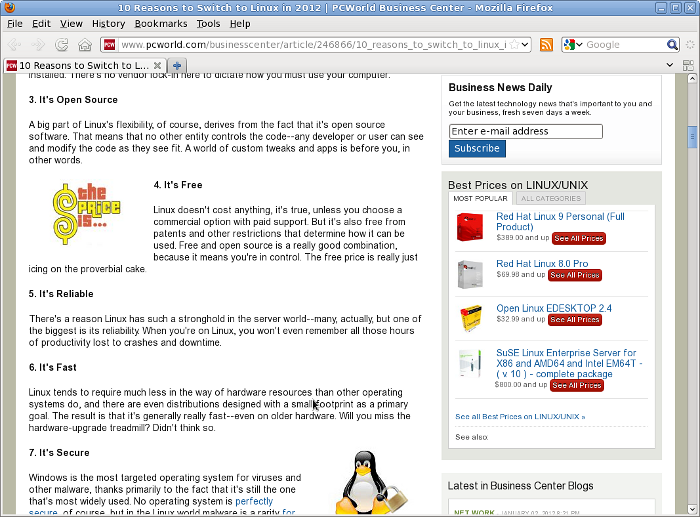 Among many things about the SOPA atrocity, I found this funny piece titled 10 Reasons to Switch to Linux in 2012, is funny because it gets every one of the 10 points wrong (if I am bored enough, I may write a follow-up showing how and why), but this is not about I want to write now. 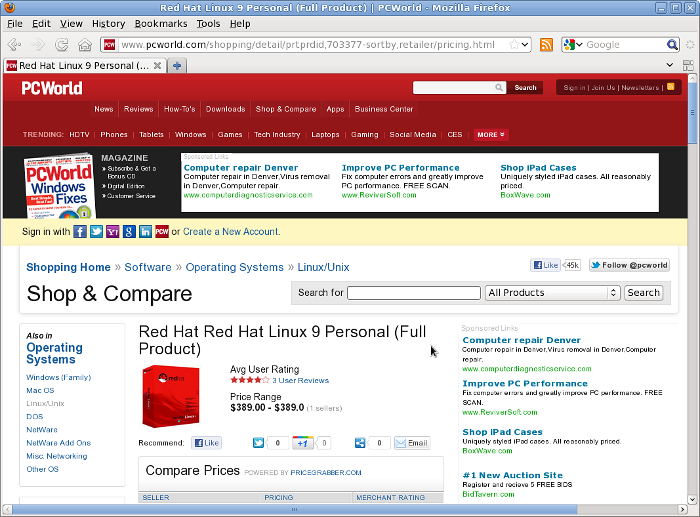 Scrolling down the article, at about the middle, there is a Best Prices on LINUX/UNIX box in the right sidebar. What is it about? 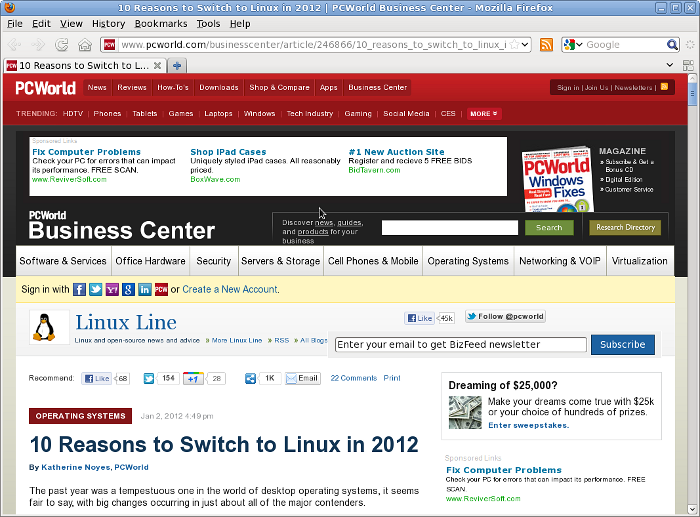 Red Hat Linux 9, Red Hat Linux 8, things discontinued 7-8 years ago (I am too lazy to count). And the site is real, even if so poorly maintained and updated, it has product pages and user reviews. It felt like browsing the web of 10 years ago, both in terms of products and predictions. Let me check again: yes, is 2012.